BALDWIN, WILLIAM WARREN, doctor, militia officer, jp, lawyer, office holder, judge, businessman, and politician; b. 25 April 1775 at Knockmore, the family estate south of Cork (Republic of Ireland), fifth of the 16 children of Robert Baldwin and Barbara Spread; m. 26 July 1803 Margaret Phœbe Willcocks, daughter of William Willcocks*, in York (Toronto), and they had five sons, including Robert*; d. 8 Jan. 1844 in Toronto. Robert Baldwin Sr was a Protestant gentleman farmer who had, by the time of William Warren Baldwin’s birth, acquired both office and prestige. For a time in the 1780s he published, with his brother, the Volunteer Journal; or, Independent Gazetteer, which William Warren later claimed had been “favorably spoken of” by Charles James Fox. In spite of continuous attention to his estates during his political involvement with the volunteer movement and despite the financial support of his patron, Sir Robert Warren, Robert slid into bankruptcy about 1788. None the less, young William received a proper education. 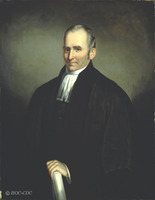 In his will he was to leave a small sum to an heir of the Reverend Thomas Cooke, “my careful and good schoolmaster, whose attention and kindness to me demands this small acknowledgement.” About 1794 he entered medical school at the University of Edinburgh, from which he graduated in 1797. Robert’s entry into Upper Canadian society had been well prepared. 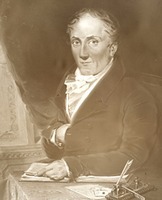 On 20 Aug. 1798 his friend Hugh Hovell Farmar wrote a letter introducing him to President Peter Russell*, another Irishman, which described him as a “Gentleman of excellent Family, of Honor & excessively clever in the farming Line, with great Industry.” For his part, Russell strongly recommended Baldwin’s petition to the Executive Council and he received 1,200 acres. He settled, however, on land he had purchased near an acquaintance in Clarke Township. 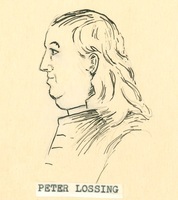 With excellent connections, he soon acquired offices, among them the lieutenantcy of Durham County, and influence. Finding little scope for his professional ambition in the backwoods of Clarke and preferring the allures of York’s small society, Baldwin moved in 1802 to the capital, where he entered the somewhat closed family world of the Russell and Willcocks households. 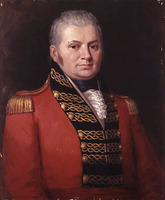 His connections to them were established in Upper Canada but the ties went back to Cork and Hugh Farmar, who was “nearly allied” to both families. Peter Russell’s “friendship” was of particular consolation to Baldwin, and Peter was a first cousin of William Willcocks, soon to be Baldwin’s father-in-law. Another close friend was Joseph Willcocks*, a distant relation of William. In June 1802 Baldwin acted as Russell’s intermediary with Joseph Willcocks, whose advances to Elizabeth Russell* had caused a breach in their relations. But even York offered little scope for an aspiring young doctor and in December he advertised the opening of a classical school for young gentlemen. What became of it is not known. Baldwin’s career now took a new direction. The young man who had borrowed Sir William Blackstone’s Commentaries on the laws of England from Russell became an attorney on 22 Jan. 1803 and was admitted to the bar in Easter term of the same year. 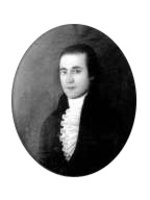 Baldwin was a visible member of York’s social circle and was one of the town’s most eligible bachelors, a state ended by his marriage to Phœbe Willcocks in 1803. The young couple lived briefly with the Willcockses until they moved into their own home shortly before the birth of their first child, Robert, in May 1804. In spite of the death of their second son in 1806 and the frailness of the third, William Willcocks reported in 1807 that his daughter was “happily Married.” With the birth of sons in 1808 and in 1810, Baldwin’s family would be complete. He was a doting father, often glimpsed in the diaries of early York making his rounds of the town with one or more children in tow. The society of York was a cliquish world in which competition for the few profitable offices was fierce. Conventional wisdom attributes William Warren Baldwin’s rise to Russell, but he was in fact in eclipse when the Baldwins arrived and they garnered most of their early rewards from Hunter. In 1806, while the vultures of official York were awaiting the fall of James Clark*, clerk of the Legislative Council, Russell was unsuccessful in persuading President Alexander Grant* that Baldwin should succeed him. 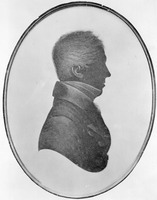 For several weeks early in 1806 Baldwin had served as acting clerk of the crown and pleas. In spite of judge Robert Thorpe’s recommendation that he was “the only educated and qualified person in the Province” for this position, it went to John Small*. None the less, Baldwin picked up his share of plums. 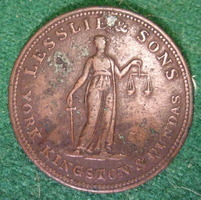 On 5 Feb. 1806 he followed David Burns as master in chancery, on 19 Nov. 1808 he became registrar of the Court of Probate, and on 22 July 1809 he was appointed a district court judge. By contrast with his family life, William’s professional life was largely free of woe. It was not, however, necessarily easy. He travelled on the assize circuit, picking up business where he could and carrying out actions on behalf of various clients. In June 1814 he spent a few days at Ancaster, where the treason trials [see Jacob Overholser*] were in pro gress, but “I was not applied to in behalf of any of them.” Life on circuit was hard if not on occasion harrowing. A story is told of Baldwin’s becoming lost in the woods in 1815 and having to swim a swollen Credit River in the morning. Still, his practice was growing. 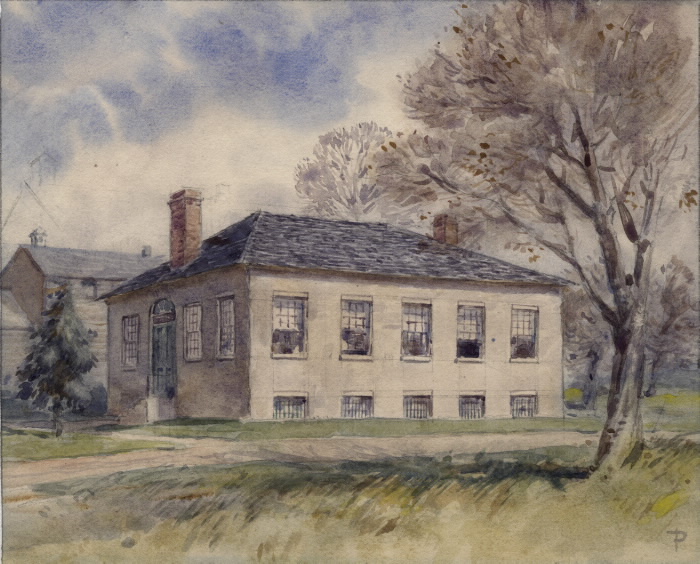 He reckoned in 1819 that he cleared about £600 per annum, a sum sufficient – when combined with his emoluments of office and income from property – for him to have built the previous year a country house, which he called Spadina (“the Indian word for Hill – or Mont”), about three miles from York on land received as a gift from his father-in-law. Baldwin “cut an avenue through the woods all the way so that we can see the vessels passing up and down the bay.” When finished, with a stable and gardens, the house cost about £1,500. By 1819 he had three clerks in his law office: James Edward Small*, his nephew Daniel Sullivan, and Simon Ebenezer Washburn. 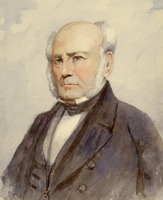 The following year his son Robert joined the firm as a student-at-law and in 1823 his nephew Robert Baldwin Sullivan* began his articling period. Washburn was a partner from 1820, the year he was admitted to the bar, until 1825, when Robert was admitted to the bar and became a partner. Commerce was the basis of any Upper Canadian legal practice and William’s was no exception. From 1815 he had, for instance, the principal responsibility for superintending the Upper Canadian enterprises of St George, who had returned to France. The following year he gave up the registrarship in the Court of Probate when he was appointed judge of the Surrogate Court, succeeding his father in this lucrative position. Estates inherited by the family and William’s astute management of them not only added to his office’s business but laid the basis for considerable wealth in the next generation. 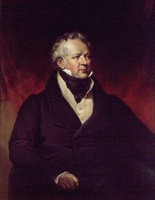 His wife and sister-in-law had inherited William Willcocks’s properties, and when Maria Willcocks died in 1834 her estate went to the Baldwin family. Maria and Phœbe also inherited the vast Russell tracts after Elizabeth Russell’s death. William himself was the heir to his father’s property. Land acquisition and estate management were vital to Baldwin’s prosperity and he amassed choice lots of both cultivated and uncultivated land. In the post-war years York was undergoing development [see John Ewart*] and the value of property there was increasing. Baldwin benefited. He had acquired valuable land in town, some lots through purchase, others from his father-in-law’s estate. By the 1820s he had become a large landowner and a wealthy man. His practice was now worth £700 a year while his wild (uncultivated) lands yielded an annual income of £1,400 (no figure is available for his rented farms or buildings but it was doubtless considerable). Although he lacked a single, large landed estate, he none the less closely approximated the English landed gentry in his ability to derive income from his holdings. He had all the trappings and attainments of gentility: education, refinement, a country home, and independent wealth. 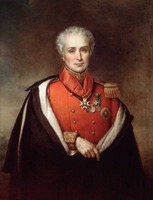 He was, as well, the doyen of his profession, holding the esteemed treasurership of the Law Society of Upper Canada for four separate terms (1811–15, 1820–21, 1824–28, and 1832–36). But Baldwin’s stature in Canadian history has little to do with these accomplishments. Rather his eminence lies in his contribution to the development of the best known, and least understood, principle of Canadian political life, responsible government. Generations of Canadian historians have accorded the Baldwins, father and son, pride of place in the elaboration of the central doctrine of colonial evolution to nationhood, and of the transformation of empire into commonwealth. His entry into politics came in the general election of 1820. Running in the riding of York and Simcoe and confident of success, or so Robert claimed, he was returned with Peter Robinson. 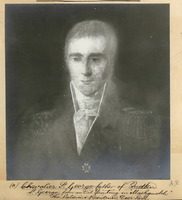 Politically, the election came hard on the heels of Robert Gourlay*’s banishment, the prosecution of Gourlayite printer Bartemas Ferguson*, the dismissal from office of the president of the Gourlayite convention, Richard Beasley, and Robert Nichol*’s formidable leadership of the opposition within the House of Assembly. Baldwin considered that electors had solicited his candidacy “on the expectation of [his] rigid integrity towards the Constitution.” In a broadside he professed “an affectionate regard” for British liberty and the British constitution, and “to preserve the latter ever pure,” he declared, “the first must be preserved unwounded.” He promised to avoid factious opposition to “legitimate objects of the Administration” while maintaining “that the purest Administration requires a vigilant activity on the part of all its constitutional checks.” Thus William thought his victory had given “great public satisfaction to the independent part of the community & mortification to others.” Yet one historian who has analysed his conduct in this contest has depicted him as the eloquent defender of the administration, deeply grateful to it for office. The interpretation is exaggerated. Baldwin was “thankful” to the administration that “gave it, and the Government that has continued it to me” – nothing more. Two things are clear: first, Baldwin was sufficiently prosperous to risk estrangement from government; secondly, he was not yet of a mind that such estrangement was warranted. 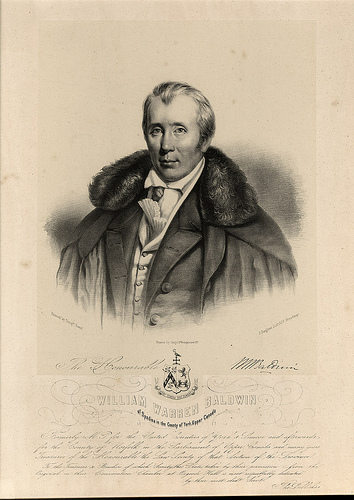 Baldwin was neither a manager, nor an organizer, nor a leader in the day-to-day affairs of the eighth parliament (1821–24). Nichol resumed his leadership of the opposition, although Barnabas Bidwell* was a commanding presence for the one session he was in the house. Leadership for the administration was in the hands of Attorney General John Beverley Robinson* and his principal supporters, Christopher Alexander Hagerman and Jonas Jones. 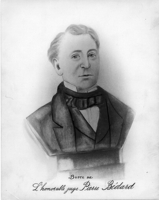 Compared to Baldwin, assemblymen such as John Willson* or Charles Jones spoke more often in debate and produced more legislation. Baldwin’s initiatives were usually confined to debate on topics that reflected his own priorities. His privately expressed concern for the state of the economy took public shape as a motion proposing the formation of a committee to examine the agricultural depression and the collapse of British markets. The resulting committee on internal resources (which included Baldwin and was chaired by Nichol) tabled its report – the first attempt to devise a comprehensive provincial strategy for economic development – on 31 March 1821. Eight months later Baldwin supported Hagerman’s resolution for encouraging hemp production, a favourite policy of the executive since Hunter’s administration. Later still, in a manner calculated to advance the interests of a large landowner, he lamented “those restrictions, fees, and regulations, which operated equally against the poor as the Capitalist” in the administration of land grants, and he championed the principle that “capital ought to be blended with labour” to ensure prosperity. In 1824, and again in 1828, he was one of the most percipient critics of Robinson’s acts taxing the uncultivated lands of speculators such as Baldwin himself. 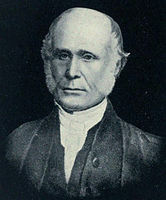 On both occasions, he joined forces with the Niagara area merchants Thomas Clark* and William Dickson, who opposed the measures in the Legislative Council. Baldwin stood again for York and Simcoe in the election of 1824, placing a close third in a ten-man race and thus losing his seat. Unfortunately, that defeat eliminated his participation in assembly debates, the reporting of which provides historians with a valuable source for the study of Upper Canadian political thought during the tumultuous ninth parliament (1825–28). During this period, Baldwin turned his attention to what he began to see as partiality in the provincial administration of justice; in the process he became a partisan opponent of Sir Peregrine Maitland*’s government and of his chief advisers. In 1818 William had written of Robert’s future, “I intend please God to bring him up to the bar.” There was no higher calling. When stepping down as treasurer of the Law Society in 1836, William detailed in his letter of resignation the special relationship of the constitution, parliament, and the law. As embodied in the 1791 act, the constitution was decidedly aristocratic, and Baldwin was not only one of its greatest admirers but also one of its greatest defenders. His willingness to duel for the sake of his honour and his ardent defence of primogeniture were tied to the natural, political, and social inequality he wished to preserve. He had defended in 1821 a bill enabling the Law Society to raise money for offices and a library to eliminate the necessity of new lawyers conducting their business in places “unfit . . . for gentlemen.” “There was,” he reasoned, “no Society for which the country should feel so deep an interest. . . . Without it, whose property was safe?” As he wrote in 1836, the society “has ever appeared to me of most importance to the preservation and due administration of our Constitution.” In a province lacking an aristocracy, the rule of gentlemen and the presence of a legal profession were indispensable. Crucial to gentility were rectitude, disinterested behaviour, and decorum; crucial to the legal profession was defence of the constitution and the rights which it entailed. Baldwin’s address to the jury in 1827 during George Rolph’s civil suit against his assailants in a celebrated tar-and-feather incident is a specific example of Baldwin’s convictions. He was disturbed that Rolph’s tormentors, who were successfully defended by Allan Napier MacNab*, included several gentlemen prominent in the Gore District, “persons holding responsible offices, even occupying the seats of Justice – one of them entrusted . . . with the sword of Justice.” Subsequent events served to concentrate his attention on the administration of justice. 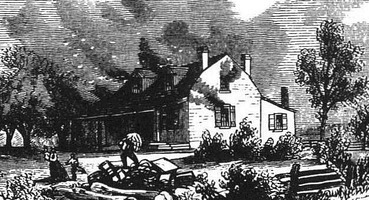 Rolph’s case was followed by hotelier William Forsyth’s petition to the assembly in January 1828 complaining of Maitland’s substitution of military force for legal process “to decide the question of right” in a dispute that became renowned in opposition lore as the outrage at Niagara Falls. A select committee’s investigation led to a full-scale constitutional confrontation between Maitland and the assembly, which the lieutenant governor prorogued on 31 March. Then, in April at the York Assizes before John Walpole Willis*, the opposition journalist Francis Collins* reprimanded Attorney General Robinson for his partiality in the administration of justice. Matters came to a head in June 1828. On the 16th Willis declared that, to function, the Court of King’s Bench required the presence of the chief justice and the two puisne justices. With Chief Justice William Campbell* on leave, only Willis and Levius Peters Sherwood were sitting. With the constitutionality of the bench in doubt, the Baldwins and Washburn wrote to Willis the following day enquiring if he would invite Sherwood’s consideration of the question and asking, in the event Sherwood’s opinion was not immediately forthcoming, if Willis would “withhold his Judgement” in any cases involving their clients, “untill as their Counsel we be better advised as to the course to be adopted.” On 23 June the Baldwins, in conjunction with John Rolph*, protested to Sherwood “against any Proceedings . . . until the Court be established according to the Provisions of the Provincial Statutes.” The issue was not merely a debate about “the strictest Principles of Law.” “There are no Laws,” they wrote, “demanding a more religious Observance than those which limit and define the Power of Individuals forming the Government over their Fellow Creatures.” The administration’s decision to remove Willis in late June precipitated a political reaction unlike anything the province had known, and the sense of crisis was fuelled by the impending general election in July. The Baldwins entered the fray, William in Norfolk and Robert in the riding of York. 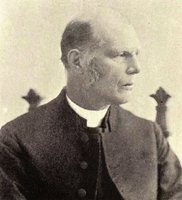 The elder Baldwin had been “required, and not invited” to run by John Rolph, who considered him “the only person . . . combining all that is desirable in a representative of a free people.” Although Robert lost, William was elected along with incumbent Duncan McCall*. Provincially the opposition gained a clear majority of members. In York William was at the centre of a whirlwind of activity. During the campaign he had become, according to the pro-administration journalist Robert Stanton*, “a regular travelling Stump Orator.” Stanton thought him “mad” but Baldwin’s commitment to opposition was principled, and total. The legacy of the Willis agitation over the summer and fall of 1828 was multifold: formal reform organizations at York which would endure until the rebellion of 1837, sustained cooperation among pre-eminent reform leaders, and tactical planning by the opposition for the legislative session of 1829. William Baldwin loomed large in these developments as the elder statesman of the opposition coalition, and Robert was also prominent. It was not so much that the Baldwins needed other reformers; rather the reformers needed the Baldwins. The period was, after all, still the age of gentlemen, and the Baldwins were nothing if not gentlemen. And, as gentlemen, they were symbols of legitimacy for the broad reform alliance. Maitland put the point neatly in September 1828, describing Baldwin as “the only person throughout the Province, in the character of a gentleman, who has associated himself with the promoters of Mr. Hume’s projects,” his allusion being to the British radical Joseph Hume. The most perceptive opposition leaders, John Rolph and Marshall Spring Bidwell*, realized the importance of the Baldwins in this regard and used their organizational and manipulative talents to manœuvre the father and son into the positions to which their duty, as lawyers, Christians, and gentlemen, pointed. 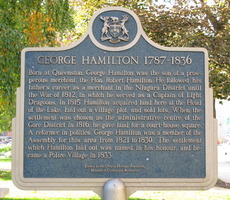 William’s outstanding contribution to Canadian and imperial history is assumed by many historians to have been the idea of responsible government. Others have stressed his role in the transition from the idea of ministerial responsibility (that is, the legal responsibility of the king’s ministers to the legislature enforced by impeachment) to the idea of responsible government (which meant the political responsibility of individual ministers or the cabinet to the elected house), a change which supposedly took place in the thinking of Canadian reformers between 1822 and 1828. The former concept was commonplace in England by the 1760s, had been used by Thorpe and Pierre-Stanislas Bédard* before the War of 1812, and had been articulated by Nichol in 1820. So far as can be determined by the newspaper accounts of the debates of the eighth parliament (1821–24), Baldwin did not express himself on the matter, confining his remarks to the sovereignty of the colonial parliament as derived from its constitution; however, it would be fair to assume, given his statements on these questions, that he was familiar with the notion of ministerial responsibility. Both notions are present in his speech of 5 July 1828. William Baldwin had realized as early as 1812 that merely changing a governor did not necessarily change an administration. For a whig of an aristocratic bent, the Legislative Council was the means by which the mixed constitution was kept in balance and liberty preserved, and as late as July 1828 Baldwin seemed to be thinking of the constitution from that perspective. The new tack he adopted, whether originating with his son or not, necessitated acceptance of the executive’s political responsibility to the assembly, and from it to the electorate. The electorate at issue was not the British one limited to the world of gentlemen, however, but the Upper Canadian electorate based on close to universal manhood suffrage. The great question is, why did the Baldwins think such a principle would preserve a deferential and aristocratic society? The answer, if there is one, is not clear. Copies of the August petition were circulated widely for signatures through the fall and early winter of 1828. 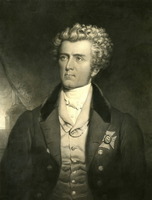 On 3 Jan. 1829 Baldwin forwarded the accumulated petitions to the British prime minister, the Duke of Wellington, inviting his “thoughts to that principle of the British Constitution, in the actual use of which the Colonists alone hope for peace Good Government and Prosperity” as pledged by the Constitutional Act. The principle alluded to was the “presence of a Provincial Ministry (if I may be allowed to use the term) responsible to the Provincial Parliament, and removable from Office by his Majesty’s representative at his pleasure and especially when they lose the confidence of the people as expressed by the voice of their representatives in the Assembly; and that all acts of the Kings representative should have the character of local responsibility, by the signature of some member of this Ministry.” Once he had adopted this language and principle, Baldwin’s rhetoric became less moderate and more censorious. Bidwell had written to William on 28 May 1828 that “Power, unaccompanied with any real responsibility, any practical accountability, can never be confided safely to any man.” It seems reasonable to assume that the influence of Rolph and Bidwell, whose language was much sharper, much earlier, had had an effect in showing Baldwin how executive power could be made practically accountable. 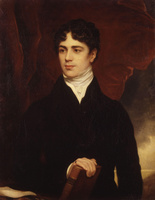 William and Robert both contested their seats in the election of October 1830 and lost. 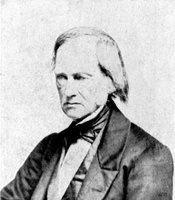 Bitter, William withdrew from political life. In 1831 he seems to have retired from his law practice, or at least let Robert and his new partner, Robert Baldwin Sullivan, assume the greater part of the burden. That same year he and Phœbe moved back into York to live with Robert and his family. The “extreme fickleness of popular opinion” at elections weighed on his mind and in 1834, when offered an opportunity to participate in a political meeting, he declined. His public role was not in eclipse, however. The gentlemanly Baldwins were attractive to conciliatory administrators as the right sort of oppositionists. Both were considered for the Legislative Council in 1835, but neither was appointed. In that year Spadina was razed by fire. A smaller house would be erected on the site; William was also to design and build a large Georgian-style mansion in town. 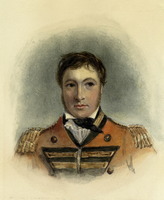 The arrival of a new lieutenant governor in Toronto on 23 Jan. 1836 stirred reform hopes. 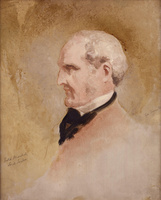 Sir Francis Bond Head* made overtures to the opposition by reconstructing the Executive Council. After numerous negotiations, Head brought Robert Baldwin, Rolph, and John Henry Dunn* into the council. William, whose name had come up, was not interested. He was convinced that the answer to the colony’s problems was “a responsible Government through the medium of the Executive Council . . . discharging its duties in the way analogous to the Cabinet Council of the King in England.” The council’s subsequent resignation in March hurled the province into its most serious political-constitutional crisis since the Willis affair. 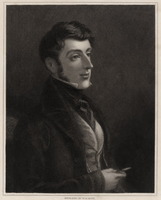 Robert, whose wife had died on 11 January, headed off to England and Ireland to be alone with his grief while William superintended family matters at home and witnessed the political desertion in March of his brother Augustus Warren* and of his nephew Robert Baldwin Sullivan to Head’s council, into the arms of the “Tory junto” as he put it. Meanwhile, no doubt at the urging of a neighbour, Francis Hincks*, Baldwin joined the executive committee of the Constitutional Reform Society of Upper Canada, where he consorted with William John O’Grady, Rolph, and others. He was given the most distinguished positions: he became president of the society and was also made chairman of the Toronto Political Union. That July Head dismissed him as district and surrogate court judge, citing as reason his signature as president on a reform society document upholding the basic doctrines of reformers. William denounced the election of July 1836 as Head’s “vicious triumph over the people.” Head believed Baldwin knew of the preparations for the rebellion of 1837, but Baldwin denied it and Mackenzie later corroborated his statement. On 1 Jan. 1838 Baldwin published a letter indicating his position. “Great reform” was still required but it must be “lawful and constitutional.” His political activity after the election of 1836 had been “solely directed to the means of discovering the facts of unconstitutional interference in behalf of Government.” When the discussions of reform groups proved “unproductive,” he no longer went to meetings and could not recollect having attended any since Robert’s return from England in February 1837. He deplored the “rash insurrection” which had the effect of “silencing for many years to come, the voice of Reform, even the most rational and temperate.” As for the Patriot incursions, he considered them foreign invasions and was willing to take up arms against them. Many remedies were put forward in the 1830s by various reformers to eliminate the evil rule of what most considered a corrupt oligarchy. Responsible government, the favourite of the Baldwins, was but one, albeit the least threatening – or so the Baldwins thought – to the constitution, the social order, and the British connection. William understood oligarchy in terms of classical political philosophy: it was the degenerate, or unconstitutional, form of aristocracy. 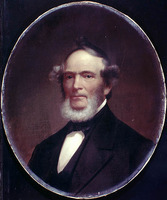 He believed, even in mid 1836, that the political contention within the upper province was related “to the mere administration of affairs”; in Lower Canada, it concerned the actual “form of government.” The failed rebellion eliminated more radical proposals while elevating the status of the Baldwins’ moderate principle. In fact, a gesture in their direction was considered in 1835 and proffered in 1836. The Baldwins had a brief interview with Governor Lord Durham [Lambton] during his July tour of Upper Canada in 1838. By this time responsible government and the voluntary principle with respect to church and state had become the key articles of reform canon [see Francis Hincks]. The reformers’ chief desire, articulated by Hincks in the Examiner of 18 July, was that the lieutenant governor “administer the internal affairs of the Province with the advice of a responsible provincial cabinet, and not under the influence of a Family Compact, as at present.” On 1 August William sent Durham, as did Robert, a long letter “on the subject of public discontent.” Among the 20 causes he listed were the crown and clergy reserves, the land-granting department, the monopoly of the Canada Company [see Thomas Mercer Jones*], interference by the executive in elections, revenues of the executive independent of the assembly, parliamentary obstruction by the Legislative Council, the encouragement of Orange societies, and the “extravagant waste” on projects such as the Welland Canal [see John Macaulay*]. His chief recommendation was the application of “English principles of responsibility . . . to our local Executive Council.” Implementation of those principles came bit by bit. 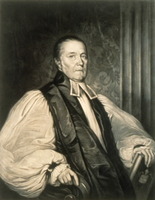 William was an Anglican of deep personal faith, intolerant of the Orange order – he had tried to legislate its suppression in 1823 – and the clergy reserves, but tolerant of dissenters and Roman Catholics. 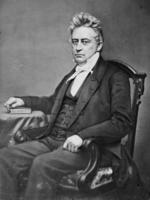 He shared with most of his contemporaries a providential faith which focused increasingly by the late 1830s on Robert’s appointed role in the divine plan. “God will direct you,” he wrote to him in 1841, “therefore you cannot err.” Robert believed him and agonized even more over every decision. In his will of 1842 William, who still believed firmly in primogeniture, left almost everything to Robert, explaining his decision to Phœbe in this way: “One child only can be born first – and this in all time and societies . . . has been received as the appointment of Providence. . . . It tends to preserve a reverence for the institutions of our ancestors, which though always tending to change, for by nature all human affairs must change, yet resist innovations but those only which are gradual and temperate.” Perhaps William’s greatest legacy was the deep personal impression he made upon his eldest son. After his father’s death in 1844 Robert wrote: “Those only who knew him intimately can appreciate the loss which we have sustained in the death of such a parent – All that is left us is to honour his memory by endeavouring to imitate his example.” And honour it Robert did. [The cooperation of J. P. B. Ross and Simon Scott, who allowed access to their papers, is deeply appreciated. Acknowledgment is also due to my partner in Baldwin research, Michael S. Cross. 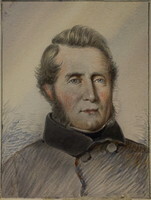 References to William Warren Baldwin may be found in most private manuscripts and government collections relating to the period. The essential sources are the Baldwin papers and the Laurent Quetton de St George papers at the MTRL and the Baldwin papers at AO, ms 88. 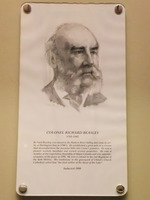 The Baldwin–Ross papers at PAC, MG 24, B11, 9–10, as well as the private collection of Ross–Baldwin papers belonging to Simon Scott, are also useful. Important to this study were contemporary newspapers, among which the following were most helpful: Canadian Freeman, 1825–33; Colonial Advocate, 1824–34; Constitution, 1836–37; Examiner (Toronto), 1838–44; Kingston Chronicle, 1820–33, and its successor Chronicle & Gazette, 1833–36; Upper Canada Gazette, 1819–24; and Weekly Register, 1823–24. Among the more thoughtful treatments of responsible government in Upper Canada are three articles by Graeme H. Patterson: “Wiggery, nationality, and the Upper Canadian reform tradition,” CHR, 56 (1975): 25–44; “An enduring Canadian myth: responsible government and the family compact,” Journal of Canadian Studies (Peterborough, Ont. ), 12 (1977), no.2: 3–16; and “Early compact groups in the politics of York” (unpublished); and two by Paul Romney: “A conservative reformer in Upper Canada: Charles Fothergill, responsible government and the ‘British Party,’ 1824–1840,” CHA Hist. papers, 1984: 42–62; and “From the types riot to the rebellion: elite ideology, anti-legal sentiment, political violence, and the rule of law in Upper Canada,” OH, 79 (1987): 113–44. With these notable exceptions, studies of responsible government have largely isolated British North American politics from its English background. The literature here is enormous. J. C. D. Clark, Revolution and rebellion: state and society in England in the seventeenth and eighteenth centuries (Cambridge, Eng., 1986), is a helpful place to start. Especially worthwhile are John Brewer, Party ideology and popular politics at the accession of George III (Cambridge, 1976), H. T. Dickinson, Liberty and property: political ideology in eighteenth-century Britain (London, 1977), and J. G. A. Pocock’s stimulating collection of essays, Virtue, commerce and history; essays on political thought and history, chiefly in the eighteenth century (Cambridge, 1985). One of the few attempts to study the development of Canadian political culture is Gordon T. Stewart’s thought-provoking book, The origins of Canadian politics: a comparative approach (Vancouver, 1986). The best work on the Colonial Office, imperial policy, and English politics as they bore on the colonies is Buckner, Transition to responsible government. There is no full-length study of Baldwin’s life but aspects of it are dealt with in G. E. Wilson, The life of Robert Baldwin; a study in the struggle for responsible government (Toronto, 1933); R. M. and Joyce Baldwin, The Baldwins and the great experiment (Don Mills [Toronto], 1969); and J. M. S. Careless’s “Robert Baldwin” in the volume he edited, The pre-confederation premiers: Ontario government leaders, 1841–1867 (Toronto, 1980), 89–147. M. S. Cross and R. L. Fraser, “‘The waste that lies before me’: the public and the private worlds of Robert Baldwin,” CHA Hist. papers, 1983: 164–83, is also useful. Robert L. Fraser, “BALDWIN, WILLIAM WARREN,” in Dictionary of Canadian Biography, vol. 7, University of Toronto/Université Laval, 2003–, accessed April 20, 2019, http://www.biographi.ca/en/bio/baldwin_william_warren_7E.html.